The accommodation is suitable for short breaks or long holidays and adaptable to solo travellers and families. 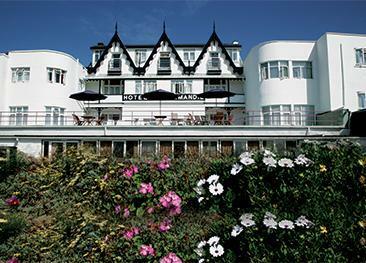 The hotel offers a quality service and the family-run friendliness means guests tend to return year after year! There is a selection of single, double, twin and treble rooms. Families can also be accommodated. All guest rooms are en-suite and equipped with flat screen television, tea and coffee tray, direct dial telephone and free WiFi. The large and bright restaurant room overlooks the garden and serves a full English breakfast in the mornings and fresh, homemade three course meals in the evening. The hotel's bar is a pleasant place for relaxation before or after your meal. Steps lead to the entrance and the hotel does not provide any disabled facilities. The residential area around the Runnymede Court was built in the Victorian era to welcome beach goers and is still as popular today. The proximity to the town centre as well as to the seaside makes it a great base to start your holidays from. Loved it, very easy to book and lovely hotel. A very clean and comfortable hotel. Friendly and extremely helpful staff especially Mary who is credit to the hotel's owners and seems to be the mainstay. Good food, nice staff and clean beds. Good value for money. Accomodation and service was excellent. Lovely friendly staff and homely atmosphere. Have stayed here before. Although fairly basic, it offers good value for money and good food with friendly staff. 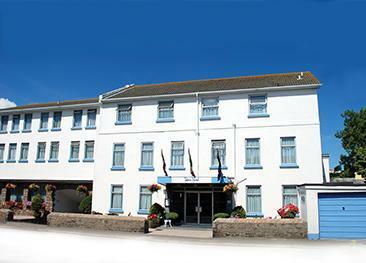 Hotel was very good, great food and excellent service and less than 10 minutes walk to town centre. Would like to have seen fresh fruit and yoghurt at breakfast as a healthy alternative to full English. 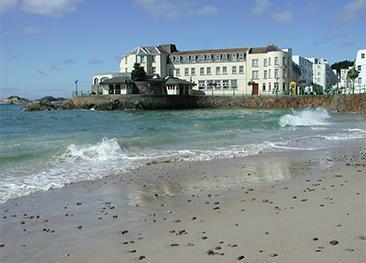 The Talana is a great all-round hotel just outside of St. Helier's town centre, with pleasantly decorated accommodation and comprehensive leisure facilities.